Two sentiments that matter - America and Safety! 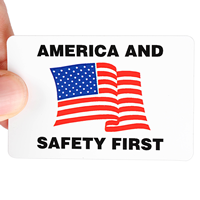 • Vinyl Hard hat labels are ideal for Hard hats, tool chests, etc. • Just peel and stick. 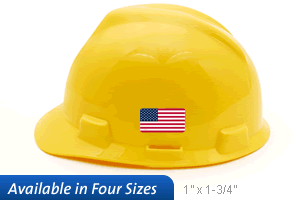 • Good for hard hats, tool boxes and vehicles. • Lasts for years outside. Just as advertised, hit the mark.